Champions Trophy 2017 is just around the corner and the fans from all around the globe are eagerly waiting for the tournament. The tournament will begin from June 1 and India is set to face its arch-rival Pakistan on 4 June. The official broadcaster of the ICC event has released a new advertisement 'sabse bada moh' which revolves around a fan's passion for the India-Pakistan clash. During the 2015 ICC Cricket World Cup, the ad series named 'Mauka-Mauka' became an instant hit among the fans. 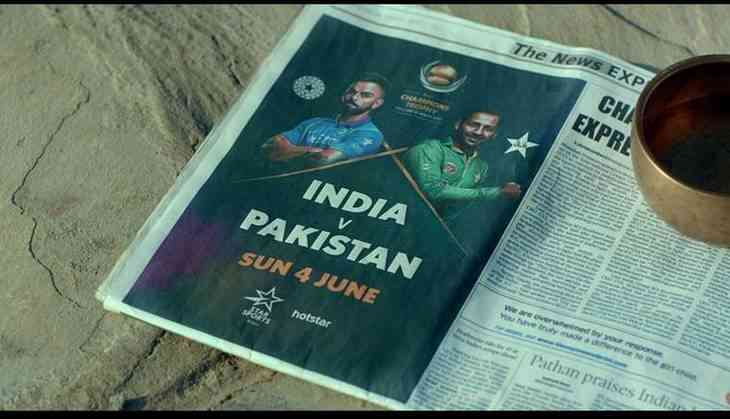 The ad reflected on the fact that India has maintained its unbeaten dominance over Pakistan in the 50-over and 20-over World Cup. However, India doesn't share the same glory in the Champion Trophy tournament as Pakistan holds a 2-1 head-to-head record against it.